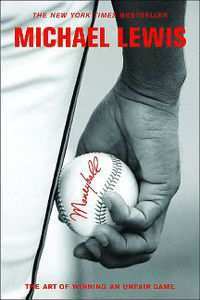 I am not sure how I could have read 105 baseball books in the last 7 years and never read Moneyball, Michael Lewis’s remarkable 2002 book about Billy Beane and the re-invention of player evaluation and team operation. Now comes the news that Brad Pitt, Jonah Hill and Phillip Seymour Hoffman will be seen in the film version of Moneyball, scheduled for release in September. That’s an eye popping cast. I’ll stick with the book in this post. We’ll review the movie later. The book was riveting. The book was old news. I’ll spare you the synopsis and share my favorite lessons and nuggets. My comments are in bold. Sports Illustrated had a journalistic co-venture with the Mets for the 1980 draft. Simply put, S.I. would write extensively about whomever the Mets would make their #1 Draft Pick. Sports Illustrated told GM Frank Cashen that they’d like it if the Metropolitans picked Darryl Strawberry, a gifted and impoverished city kid who had no idea he was about to become rich and famous. Though Darryl was high on their list, he was not the Mets first choice until after S.I. made the request. The Mets were concerned about the inflationary effect the publicity could have on Straw’s asking price. In the end, the Mets took the benefit of the P.R. over money concerns. So, without S.I., Darryl could have gone to the Indians at #2, and quietly developed in the relative calm of Cleveland, perhaps staying out of the NYC fast lane that derailed a HOF career. And the Mets might have ended up with the best college player in America, Terry Francona, or Kelly Gruber, Jim Acker, or a number of other possibilities. Sandy Alderson is the shepherd of O.B.P.. He commissioned baseball writer & former aerospace engineer Eric Walker to explore the relative value of all baseball statistics. To paraphrase Walker: Of all the many number in Baseball, the number 3 is by far the most critical because 3 outs define an inning. Until the 3rd out is made, anything is possible; after it, nothing is possible. Anything that increases the offense’s chance of making an out is bad. Anything that decreases it is good. So by definition, O.B.P. is the probability that the batter will not make an out. It becomes crystal clear that the most important batting stat is O.B.P..
That paraphrase is sweet and lyrical. We don’t understand the magic that makes 60’6” perfect, that makes 90’ between bases un-improvable, or why the number 3 is divine. That’s baseball. The perfect game. Bill James was the night watchman at a Van Kamp’s Pork & Bean factory in Lawrence, Kansas before he was a success. The perfect job for an introvert devoted to the analysis of box scores. Before James decided to self-publish, the odd pages of his research, a page on stolen base study here, a page of pitching data there, would come to rest with many others in old Van Kamp’s boxes in James’ basement before he found his audience. In the yet to be made film version of Bill James life, I see the Van Kamp’s box as the Rosebud shot. The camera focuses on the box in the basement as snow falls gently on Lawrence as seen through the cellar window. There is a knock at the door. James lets in the Publisher’s representative who hands him a fat check. When I met James at a Boston S.A.B.R. Regional two years ago, he autographed my copy of his HOF book. Should have had him sign a can of Van Kamp’s. BRANCH RICKEY REALLY WAS THE COOLEST ! A 1954 Life Magazine contains an article by Branch Rickey, ghosted by professional statistician Alan Roth, that argues for O.B.P. and SLUGGING as more important success indicators than B.A..
Rickey was a flat out GENIUS. Bill James was not an overnight success. He sold 40 photocopied BJ annuals his first year, and 77 the second. Even in those lean years, he had an eccentric and bright following that included author Dan Okrent, novelist Norman Mailer, screenwriter William Goldman and the guy who play Squiggy on Laverne & Shirley (actor David Lander). This is why I read. I want to learn the impossible, the incredible, the unlikely. According to Wiki, David L. Lander is an actor, comedian, composer, musician and baseball scout. His baseball related acting experience includes the role of a broadcaster in “A League of Their Own”. A Pirates fan, Lander owns a small stake in the Portland Beavers. He is currently a scout for the Seattle Mariners, having scouted previously for the Angels. And he was onto the Jamesian revolution before almost everyone else, cutting James’ 1 inch ad out of The Sporting News and mailing the check to Kansas. Speaking of eccentric, we already knew Dan Duquette was off-center. So it is not a huge shocker when Lewis reveals that Duquette relied on a quirky Brooklyn guy when making player decisions, a man named Mike Gimble. Gimble was a Queens College drop-out, a self taught computer programmer and a rotisserie baseball addict. Gimble’s loft was once raided by the cops because of the 6 pet alligators, 5 turtles and 1 iguana that kept him company while he was not working his day job at the new York Water Authority. Duquette will never get his due for sending Heathcliffe Slocomb to Seattle for Veritek & Lowe. Or for acquiring Manny. Without the Duke, the Idiots do not end 86 years of tears. God bless you, Dan. And God Bless Mike Gimble, too. All fans really care about is winning. Win with nobodies and the fans will show up and the nobodies will become stars. Lose with stars and the fans will stay home and the stars will become nobodies. Assembling nobodies into a ruthlessly efficient machine for winning baseball games and watching them become stars is one of the pleasures of running a poor baseball team. That’s a thing of beauty, no ? Superior management can still run circles around taller piles of cash. If this isn’t the essence, the mantra, the mojo of Moneyball, than I somehow missed the point. How fungible are baseball players ? A lot more fungible than the people who run baseball teams believe. Finding pitchers who can become successful closers isn’t all that difficult. Billy Beane made “selling the closer” into an art. Building up a closer’s reputation, getting them positioned to record 30 saves, then selling or trading them, or better yet, getting multiple draft picks for them when they left via free agent. Fungible: being of such nature or kind as to be freely exchangeable or replaceable, in whole or in part, for another of like nature or kind. Am I the only one who had to look that up ? STUPIDITY IS AN ASSET ? Reflecting upon how most other major leaguers are not hell bent on a patient approach, Hatteberg kidded himself quietly that Stupidity must be an asset. If you have no plan at the plate, pitchers can’t set you up. You have no performance pattern. Some of the best hitters in the major leagues are the dumbest. Hatteberg believed he would never made it if he had been a guy who just went up and took his cuts. That observation applies to many of my favorite players. As Johnny Damon said in his book, IDIOT, he just goes up there and hits what looks good. Paul DePodesta had a novel method of analyzing a player’s plate ability. At the end of a season, he calculated how many total runs the A’s would have scored had every at bat by an A’s player been performed by one particular hitter. In other words, what would the outcome be if the A’s lineup was made up of 9 Scott Hattebergs. Based on Hatte’s 2002 stats, the A’s would have scored 950 runs had he batted every at bat. The same number as 9 Miguel Tedjada’s or 9 Eric Chavez’s. And it is 60 runs more than the New York Yankees actually scored in 2002. OK, ok, I get it. Walks, homers, and O.B.P. The A’s let Mabry sign with Seattle at the end of the season. Free swinging is an ancient art. Think Manny Sanguillen. Kind of sad to see Mabry booted. “Players can’t be taught discipline. Actually, it is possible, but you’d have to start when they’re in diapers. The Moneyball philosophy was successful. The A’s winning over 100 games in consecutive years on a $40 million annual salary budget. With that in mind, John Henry intended to make over the Red Sox shortly after purchasing that team in 2002. He hired Bill James, and famed SABRmetrician Voros McCracken. He targeted Billy Beane to be the next Boston G.M.. and succeeded in gaining an agreement in substance with Billy on a 5 year contract for $12.5 million. During a short period in which Billy had agreed to join Henry, he thought out some obvious changes. Beane planned to trade away Shea Hillenbrand. He would sign Edgar Alfonzo to play 2nd base and Bill Mueller to play 3rd. He would ship out Jason Veritek, acquire White Sox back-up catcher Mark Johnson, and forever banish Manny Ramirez to non-fielding duties as the permanent D.H.. The deal was done. The Red Sox had agreed to give Kevin Youkilis to the A’s in compensation for allowing Beane to be hired away. But Billy had a change of heart. He did not sign the contract. Youk stayed in Boston and most of the other changes never happened. It had all come down to money for Billy. If he was to leave Oakland it was going to be for the $12.5 million. In his heart of hearts, he couldn’t do it just for the money. So he stayed. Just imagine what competitive havoc Billy Beane would have created were he backed up by a free spending owner like John Henry. 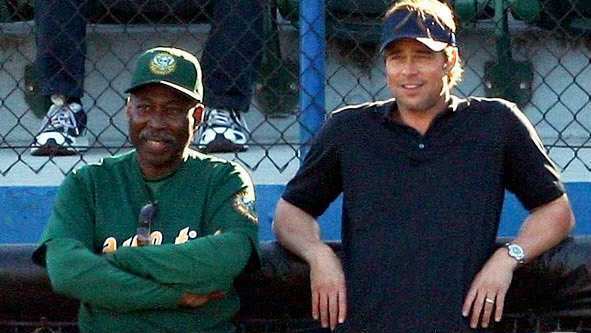 Billy Beane had changed the lives of Baseball players who would have otherwise gone unnoticed. And now those players were busy returning the favor. This entry was posted on February 25, 2011 at 4:08 pm	and is filed under BASEBALL, BASEBALL BOOKS. You can follow any responses to this entry through the RSS 2.0 feed. You can leave a response, or trackback from your own site.